The Midwestern summertime tradition of corn detasseling is in full swing. 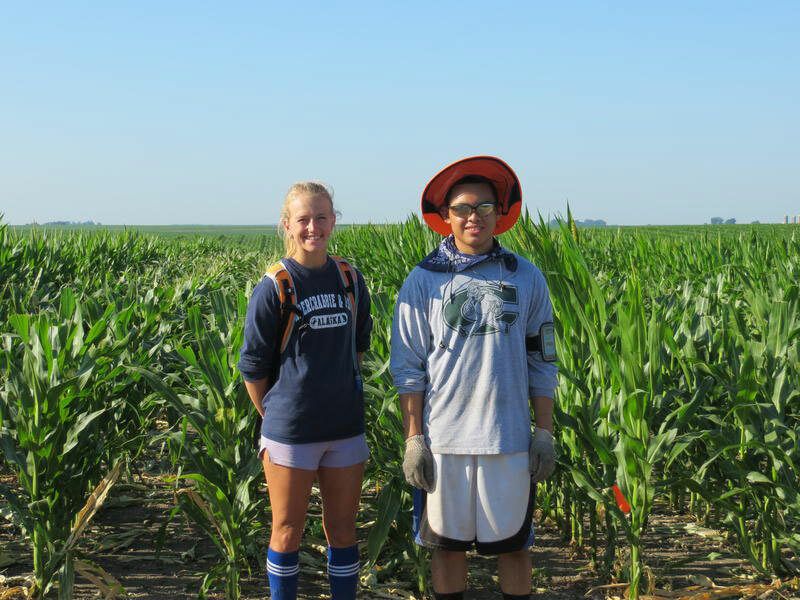 Seed corn companies hire thousands of mostly teenagers for about 20 days to remove — by hand — the very top of the corn plant to produce hybrid varieties. DuPont Pioneer is one of Iowa’s largest companies. Production manager Colby Entriken oversees three facilities in northeast Iowa and says they’ve added more safety experts. “We also bring in a field nurse that helps if we get into a situation where we need a little bit more expertise we have that field nurse as a resource,” Entriken says, “and each if the three sites also has an EMT on staff.” Those EMTs handle such things as sprained ankles or heat stress. There’s also a centrally-located decontamination trailer that can be used if workers are inadvertently sprayed by a crop duster. Entriken says the minimum age to detassel in Iowa is 14. Those as young as 12 can do the work in Illinois and Nebraska. He says he has many crew leaders who started in their teens and are now in their 50s and 60s.